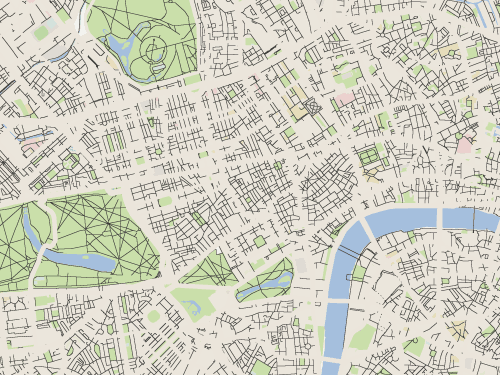 I’ve discovered a great new tool on Google Maps which shows the required cycle network in any city, town or village across the country! Et voilà! Your cycling network map is displayed clearly. It’s the vehicular cycling network of today, and the all-citizen cycling network of tomorrow! Most of the yellow roads require separated cycle tracks, but some of them can be made one-way or be blocked from being used as a through-route by motor traffic, in order to reduce the usefulness of them and therefore reduce the amount of motor vehicles on them. The thin dark lines (or white roads if you zoom in) will all be either one-way streets or filtered to make them useless as through-routes and therefore vastly reduce the amount of motor vehicles on them, and the speed limit will be 20mph or lower, so cycle paths won’t usually be required on them. Simple, eh? How great of Google to provide us with such a tool! I’m joking, of course, but the point I’m making is a serious one. There are many advocates for alternative routes for cycling, but the important routes are already there: they’re the main roads, the big ones which go directly from one place to another, which people are already familiar with. So I’m not entirely convinced about the “quietways” aspect of the Mayor of London’s “Vision” (I’m not the only one) and nor am I convinced that Hackney has cracked it for cycling. Of course, I genuinely applaud Hackney council for the filtered–permeability measures, 20mph zones, parking restrictions and removal, and the few cycle paths which they have installed (though I doubt I’d be heard above the sound of Hackney applauding themselves) but their main roads still leave much to be desired and are generally horrible. While 20mph zones and low-traffic streets are good in themselves (indeed, they’re an important component of a “liveable” city), on their own these measures will not enable mass cycling. 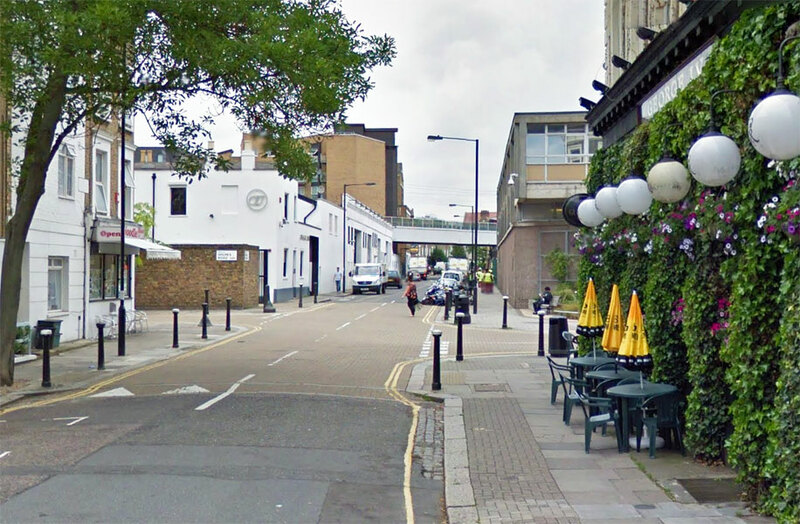 With these cheap and easy options, Hackney is going after the “low-hanging fruit” (i.e. the people who are already eager to use a bike) who will put up with inconveniences such as back-street routes. To grow the cycling rate (and demographic range) will be much more difficult – do they want children riding bikes to school, or pensioners riding bikes to the shops? Do they want people with disabilities – such as wheelchair or motorised scooter users – to be included in this transport revolution? The problem with the “quietways-only” method favoured by Hackney is that you can’t ride very far without coming up against a large, busy road. Not much use, is it? All the useful, direct routes with the places you want to go are out of reach. The streets which are inviting for cycling don’t go anywhere useful, and each neighbourhood is disconnected from the next by a main road. Even if the main roads could be crossed without actually cycling along them, it’s not a good transport system because the small streets are difficult to navigate. This is what cycling through Hackney feels like to me. There are some fine streets, but you’ll frequently come up against horrible motor vehicle-dominated thoroughfares. It’s not a network, it’s a patchwork. Main roads are the main roads for many reasons: They are the direct routes from A to B. They have the shops, the pubs, the dentists, etc., which people want to visit. They offer social safety, in that they’re well-lit, visible and busy. Similarly, the back streets are quiet for a reason. They’re not direct routes to anywhere. They’re mainly residential, with few locations people wish to visit. 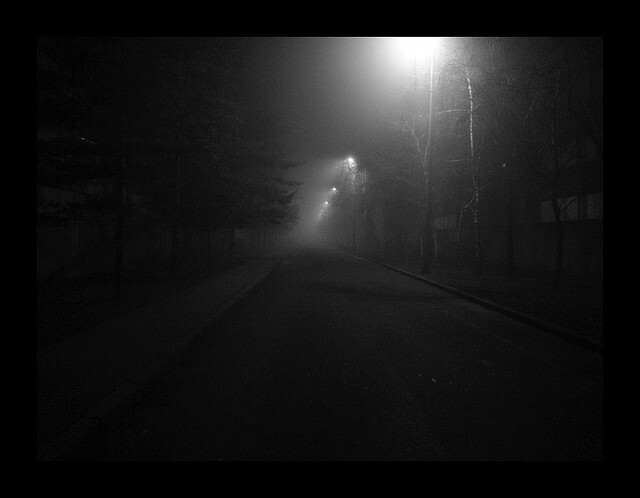 Late at night they can be largely deserted, which leads to people fearing to use them. Why should people be relegated to fiddly routes through small streets just because they’ve chosen to ride a bike, while people driving cars have the most convenient, easy and direct routes? Furthermore, if we really are planning for huge increases in cycling, why should these quiet residential streets be over-run with people on bikes? Can they really become a safe place for children to play if they’re also rat-runs for thousands of bike users who have no more connection with the area than a taxi cutting through from one station to another? As far as I can see, cycle paths along main roads is the headline. Filtered permeability and 20mph zones are great, but they’re just the support act. Without dedicated bike paths on the main roads these streets are nice but disjointed fragments which will do little to encourage more cycling. Most of the major roads in London could easily support decent cycle paths, and I suspect that’s true for much of the UK also. (Certainly, it is the case in Leeds.) It may be a politically difficult step to take, but it’s a necessary one if cycling is to become a serious transport choice for everyone. If you’re wondering how I made the custom maps, I used this. I’m living among lunatics – and they’re in charge! Don’t tell them, or they’ll think it’s me that’s crazy. I have weird, deviant beliefs, you see. Such as this: Residential streets should be for the use of residents and their visitors, not for use as rat-runs for people passing through. I know this makes sense to you, dear reader, as you and I can see I’m making sense. But to most people out there, the idea that residential streets are for the people who live there is a strange, crazy notion which must be resisted at all costs. Am I insane, or is everyone else? So here we have a hypothetical punter who wants to go from the tube station at Oxford Circus to the tube station at Archway, and decides that the best way to get there is by taxi. The offensive thing is that vehicles using routes like this provide nothing of benefit to the neighbourhood, but they bring noise, fumes and danger. Why do we allow our residential streets to be used this way? Why are routes like this even possible – shouldn’t all through-traffic be on main roads? Do councils, despite their fine talk about ‘better neighbourhoods’ and so on, secretly like these rat-runs because they reduce congestion elsewhere? But again, this proves how out of touch I am with the general consensus. That London’s main newspaper can even consider printing such a piece (and it seems to be a regular one) shows how rat-running is considered normal, acceptable, even something to be encouraged, whereas safe and pleasant streets are the dreams of mad people like you and I.
I haven’t done The Knowledge of course, but I wonder what our Clever Cabbie’s route would be if residential streets were unavailable for rat-running (as they are in any sensible country). Would they head East along Euston Road/Pentonville Road joining the A1 at Angel? 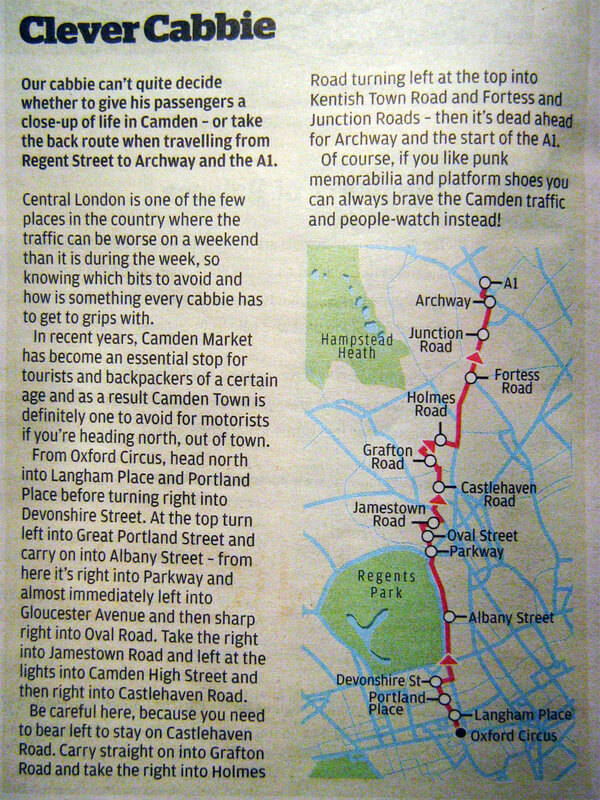 Or would Caledonian Road be pressed into service? I’m going to go a bit off-topic here and rant about something which isn’t cycling. Anyway, walking is transport too, and it’s my blog so there! There’s also a bit about ramps. I’m sure you all know what a desire line is – it’s the path between two points that people want to take. This often manifests itself in bare lines of earth in a field of grass, where many people have walked across it in the same place. Sensible authorities will legitimise these paths by making them permanent. After all, people just want to walk from A to B, so why make them go the long way round for no good reason? Aren’t we meant to be encouraging more walking? 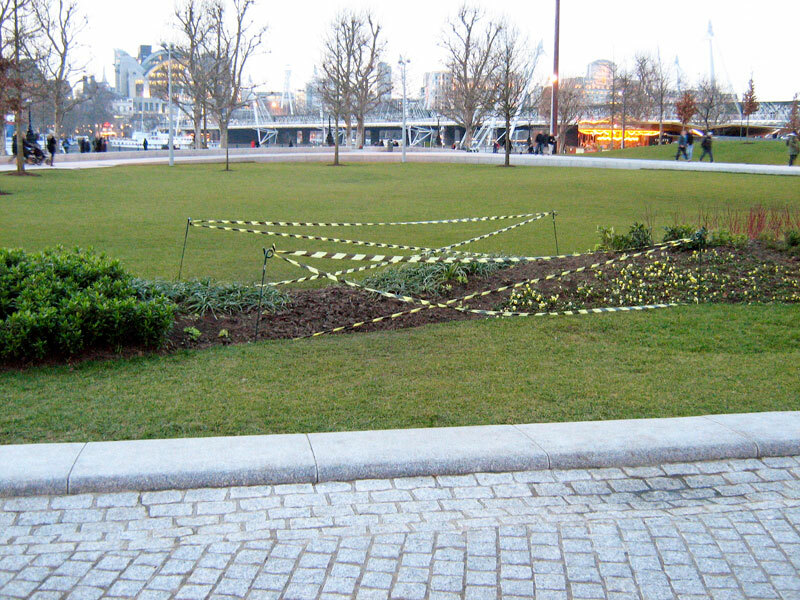 With that in mind, I present to you Geraldine Mary Harmsworth Park, more commonly known as the green area which surrounds the Imperial War Museum in London. 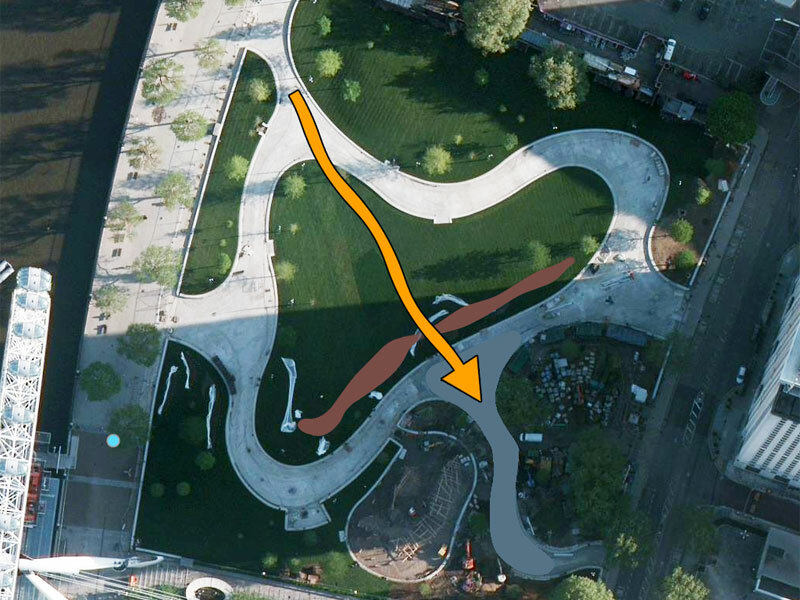 There’s a clear desire line running across a large area of grass from one gate to another, and what’s the park’s solution? How dare this woman take a direct route home? Hooligan! That’s right, they’ve decided to punish people who choose to walk across the corner of the park by installing a low fence. Maybe the fence isn’t for that reason. It’s a fairly useless fence anyway as you can see, this woman has no problem stepping over it. But why spend money discouraging people from walking that way? Just put a footpath in, it can’t cost much more than that fence! 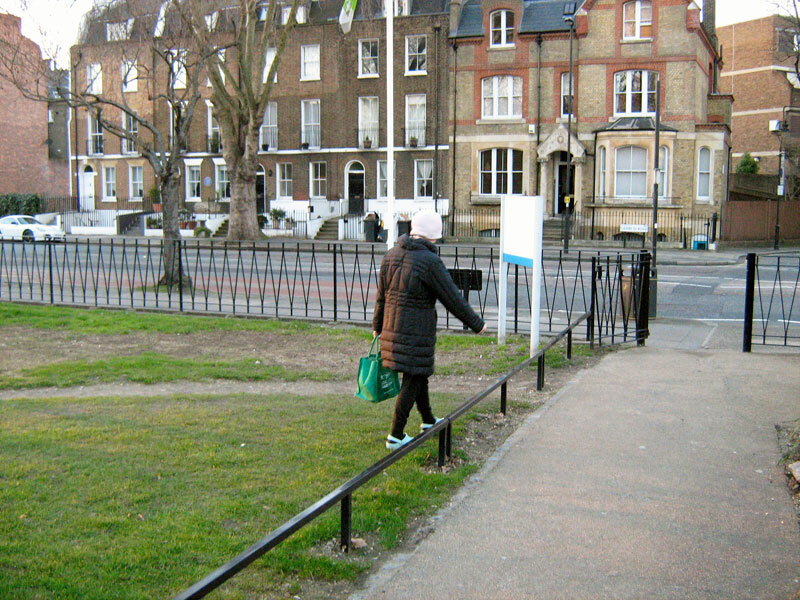 There’s plenty of grass, it’s hardly going to ruin the ambience of the park – the constant motor traffic on Kennington Road does that just fine. 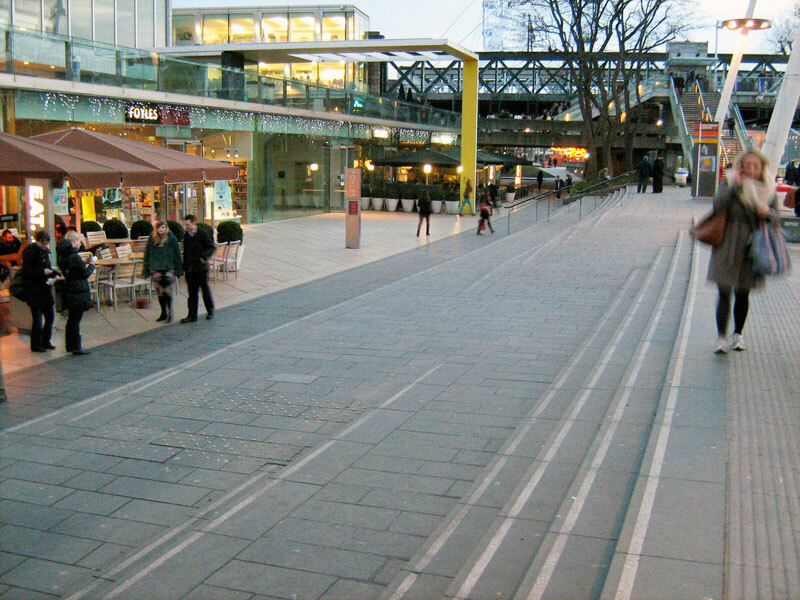 The designers chose a path which ignores entirely the desire line of people walking. Lots of people cross the Thames using the footbridge, and then want to head south-east across Jubilee Gardens, but they’re not meant to do that. They’re going to ridiculous levels to stop people walking in a straight line. (They’ve even tried shouting!) There’s about five pairs of these stripy-tape barriers in place, and of course they achieve nothing. There are already new bare patches at the side where the flowers have been walked on. 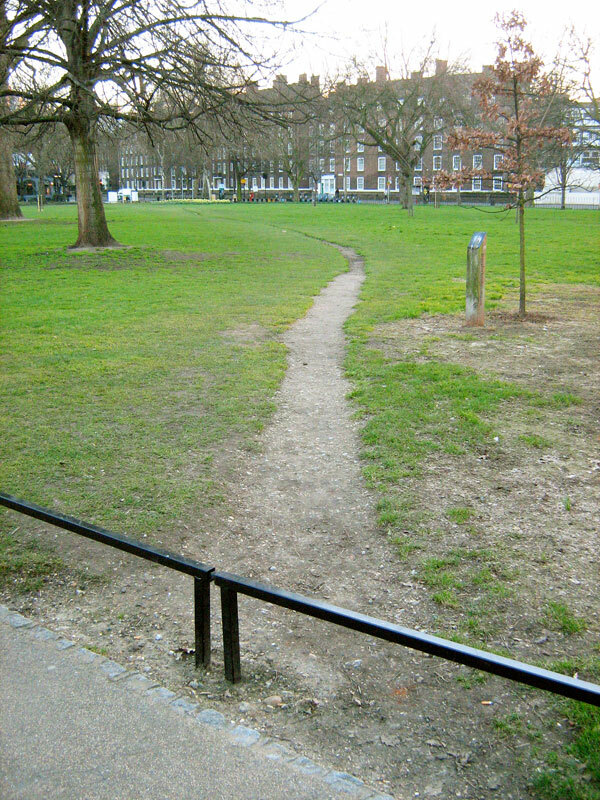 INSTALL A PATH! Even some stepping-stones! Or a grass area! Anything but this annoying “you can’t walk that way because we messed up with the design” rubbish. Just because whoever designed the park failed to take into account the concept of people passing through it, shouldn’t mean that everyone will forever meander around the long, looping footpaths. Anyway, lest it be thought that I hate everything and only ever complain, here’s something which I like very much, and it seems to me that it’s kind of the opposite of the “you shan’t walk here” mentality. I don’t use a wheelchair, and I don’t know anybody who does (so if you do and this bit’s all wrong then please let me know), but in my life as a transport geek I’m always looking out for how life is made difficult or easy for those who need to use wheels to get about. So often there’s a clunky lift (often used as a janitors’ closet) or a narrow ramp. But it looks to me that whoever designed the steps at the Southbank Centre really did a wonderful job. To access the lower level of the Southbank Centre, where there’s shops and restaurants, you have to walk down the stairs. Except there’s also a ramp, but it’s not some patronising afterthought like many accessibility features I see. It requires no special skill to use, or even any thought at all. It’s just there, permanent, reliable and where it’s needed. It doesn’t ask wheelchair users to go around the back and press a button and wait, or round the side and down an afterthought of a ramp. The ramp isn’t even noticeable to someone who doesn’t need to use it, it’s built into the steps so gracefully. The design recognises that people need to get from up here to down there (or vice-versa) and that while most people can use stairs, some might not be able to, and it caters for everyone beautifully. It’s also useful to parents with push-chairs, or tourists with wheeled luggage, of course. And it does all this without any fuss at all. Great infrastructure. Whether you call them Advanced Stop Lines and Advanced Stop Zones or prefer the more casual-sounding ‘bike box’, they all amount to the same thing: a piece of crap. I believe that the real reason for their existence is not to make cycling safe, as you might think, but rather to get cycling campaigners to shut up. Neither of these goals has been achieved, of course. ASLs make sense in that perfect, ideal world where the Highway Code is set. There, humans can all be trained and/or forced to behave perfectly at all times – a bit like North Korea, or Stepford. The Highway Code’s idealised version of the UK. There are more people on bikes in this image than there are in the whole of West Yorkshire. But here in the real world, inhabited by imperfect and fallible human beings, people on bikes still get killed when the traffic lights change, and an ASL does nothing to help a bike user who arrives while the traffic is already flowing. They’re often ignored by drivers too, the police don’t enforce them. Unfortunately, all this means that ASLs have become another endless battle in the War On The Roads™ and some cycling activists spend a large amount of time trying to convince drivers – and the authorities – to respect them. It does annoy me when I see drivers pull up across the ASL. Of course, I have no problem if, say, an ambulance causes the flow of traffic to stop and the lights change to red leaving a car stranded there. But so many people drive up to a red light and over the first white line right into the bike area. 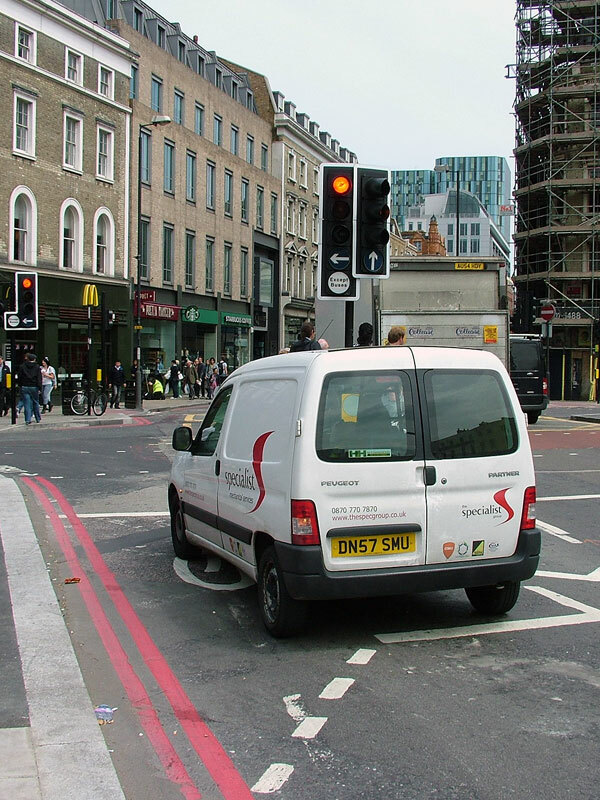 Some drivers even drive across both white lines and into the pedestrian crossing or junction beyond! I’d argue that if you’re unable to bring your vehicle to a halt before reaching a clearly marked position on the road, you really shouldn’t be operating such a machine at all. This van has very neatly stopped within the ASZ, note the centimetre-accurate alignment. Maybe the driver mistook it for a parking space? But for all that, I don’t really care. I’ve been asked to sign petitions to get the police to enforce the rules. (Which would be nice for a change.) But really, I won’t waste my time polishing a turd, and neither should you. 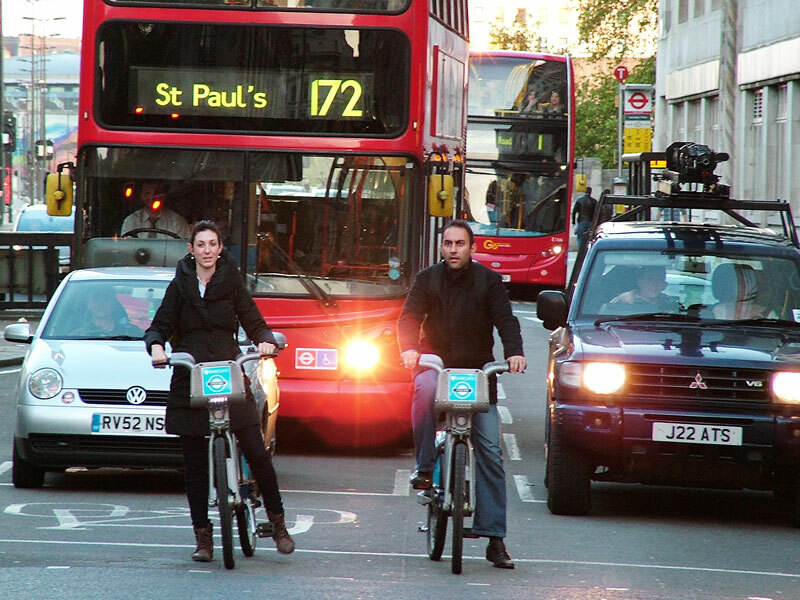 Improving ASLs is not what cycling campaigners should be spending their time on. It would be like, say, environmental campaigners asking Shell and Esso to use a nicer font in a lovely shade of green. Or perhaps it’s more like a slave asking for the chains that bind them to be chrome-plated. What I’m saying is that the ASL is a pretend friend to a bike rider. They’re there as a kludge, a poor compromise between total motor dominance and calls for cycling infrastructure. They’re rubbish. Yes, I know that drivers should stay out of them, and everybody should follow the rules, but it’s a distraction from the bigger picture. The whole argument is worthless. Nobody is waiting for ASLs to be enforced before they take up cycling. Nobody is saying “if only there were more areas at traffic lights where I could sit in front of growling motor vehicles, I’d take up riding tomorrow!” In fact, I reckon the idea of sitting on a bike in front of a large motorised vehicle is one of the key points which prevents more people from using a bike for transport. Don’t waste your time campaigning for this rubbish to be enforced or improved. Don’t ask for nicer chains, demand their removal! There are very few places where an ASL is appropriate, yet the UK is covered in the damned things. There are already tried-and-tested solutions for junctions which don’t involve mixing up motor traffic with bikes – or mixing bikes with pedestrians, as is the current fashion in the UK. 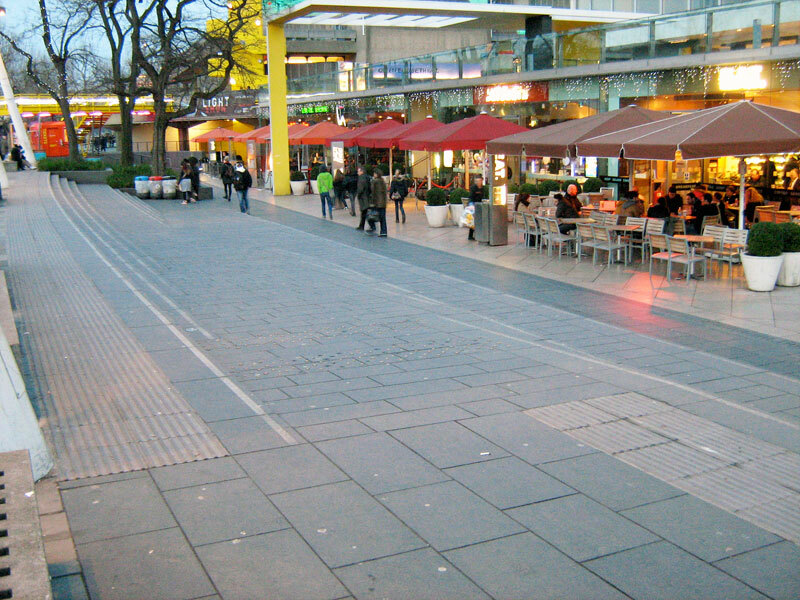 Pedestrianise London has a good article covering the right way to do these things so I won’t write about them here. The worst thing about ASLs is that they’re designed for very low levels of cycling. Sure, one or two bikes are fine. Maybe even five or six. But what happens if twenty people were to arrive on bikes? What about fifty? Where are they all meant to go? 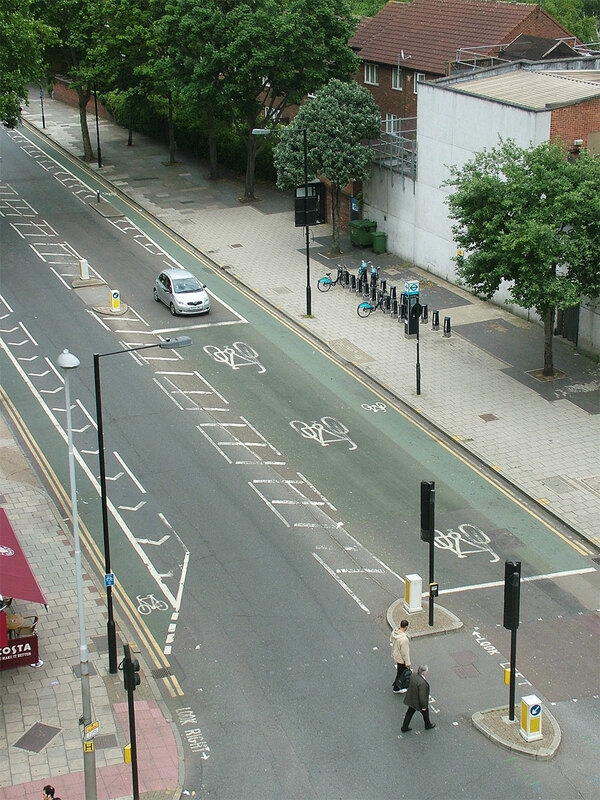 Is the UK ready for the Cycling Revolution® or are we designing roads for cycling shares of, ooh, say, about 2%? The photo above shows pretty much an ideal situation for a junction with an ASL. There’s a wide cycle lane and no motor vehicles have encroached beyond the stop line. But the ASZ is already filled with about ten bikes and is overflowing into the cycle lane, where another ten people on bikes are waiting in the van’s blind spot. The ASL does nothing for these people. Why are we designing infrastructure which cannot handle more than a dozen people on bikes? The design is so weak, it’s proof positive that the government has low cycling targets, because the infrastructure they’re putting in simply can’t handle more than a very small number of people on bikes. 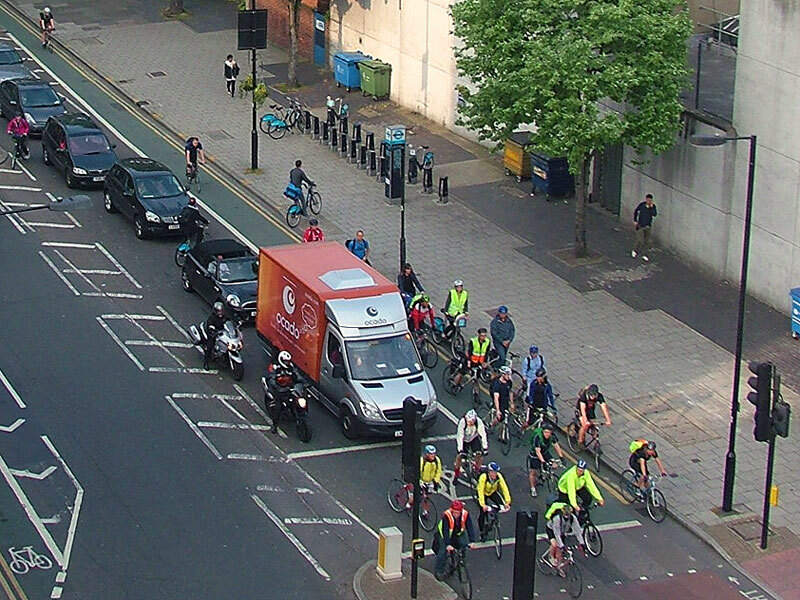 But imagine if the orange van was a lorry – should all bikes wait behind it? What if the ASZ looks clear and the lights change while passing the lorry? What’s the goal of this infrastructure? Suddenly it’s all rather confusing. 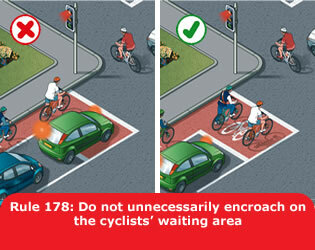 Or even take a look at the Highway Code’s idealised image of how an ASL works at the top of this post. Note that even in their perfect world’s green-ticked scenario, there’s a bike on the left-hand side of the left-turning car. Even if that bike moves to the front of the ASZ, what happens when a fourth or a fifth bike arrives? The system just can’t cope with more than a few bikes. How large would the ASL have to be to cope with the doubling of cycling which London is expecting? So that’s why I don’t like ASLs, and that’s why I want rid of them. If you’re not convinced by my arguments, feel free to try one of these other esteemed bloggers: the Davids Hembrow, Arditti or Brennan, and also Paul James, Freewheeler or Londonneur. Update: And there’s more, from NI Greenways, Cyclegaz and WillCycle. Thanks to Stripymoggie, Mark Skrzypczyk and WilliamNB in the comments below for these links. Also, I just noticed this comment which I made on David Hembrow’s blog in May 2012, making the same point. I must have been mulling this over in my mind for quite some time! The Alternative Department for Transport is written by, and the personal opinion of, Schrödinger's Cat. The Bedford turbo roundabout, AKA "Turbogate"